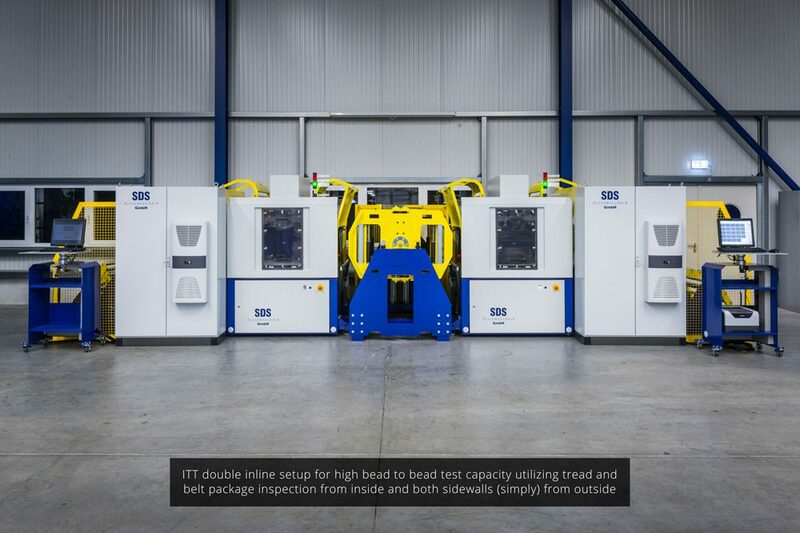 The industrial solution for absolutely efficient bead-to-bead testing for new tire manufacturers as well as for retreaders. Our Twin Machine is particularly suitable for companies where the machine is used around the clock. 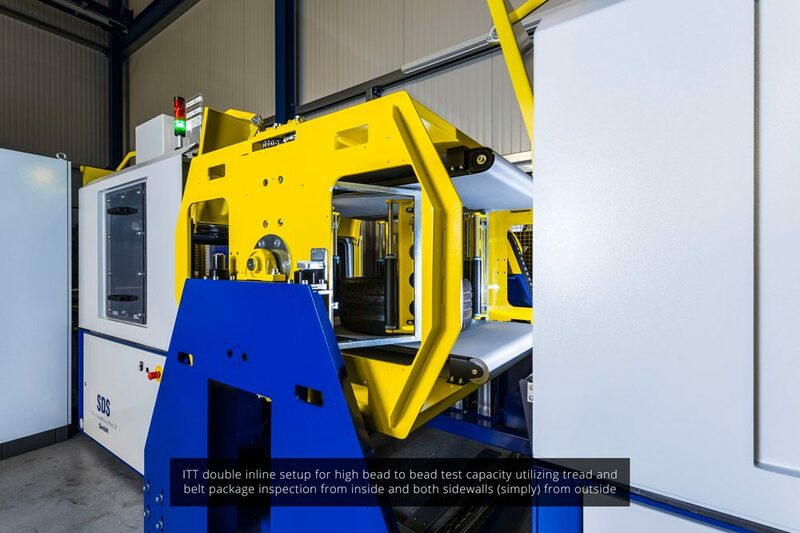 The Twin Machine is equipped with three measuring heads. 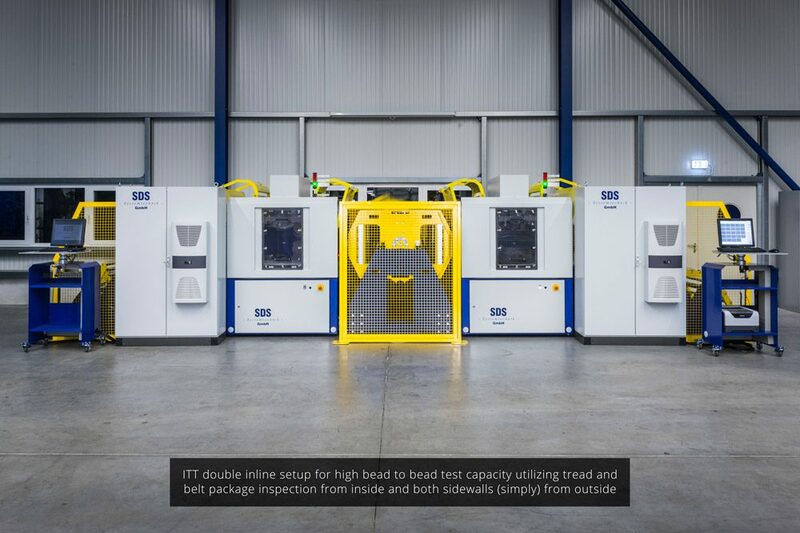 Two of the three measuring heads can be swivelled in such a way that the sidewall can be tested simultaneously from the outside, while the third measuring head measures the tread surface. As a result, even small tires with a rim diameter of up to 8" can be tested. The first of the two machines tests the first sidewall and half the tread surface. The second machine then tests the second sidewall and completes the measurement of the tread surface. 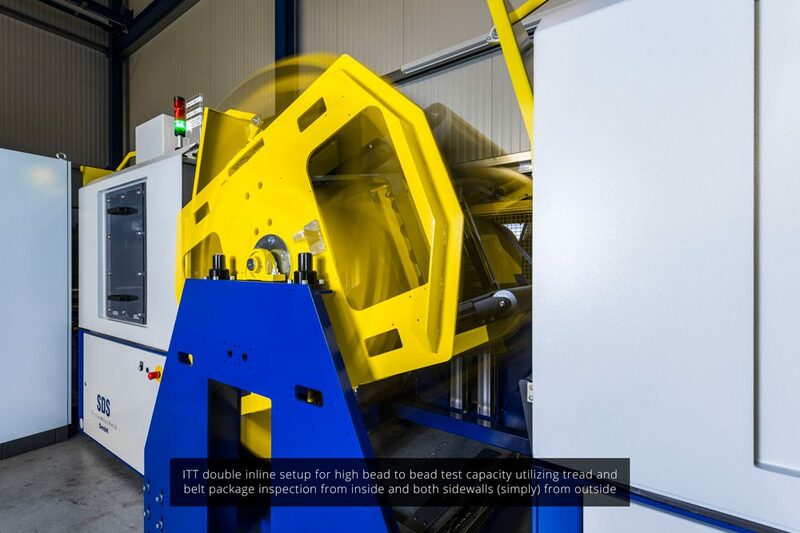 At the same time, the next tire is also tested in the first machine. This means that we can achieve a faster measuring cycle as compared to a single machine. Our optional functions - such as automatic barcode reading, tire contour detection, automatic fault detection, etc. - enable fully automatic operation.